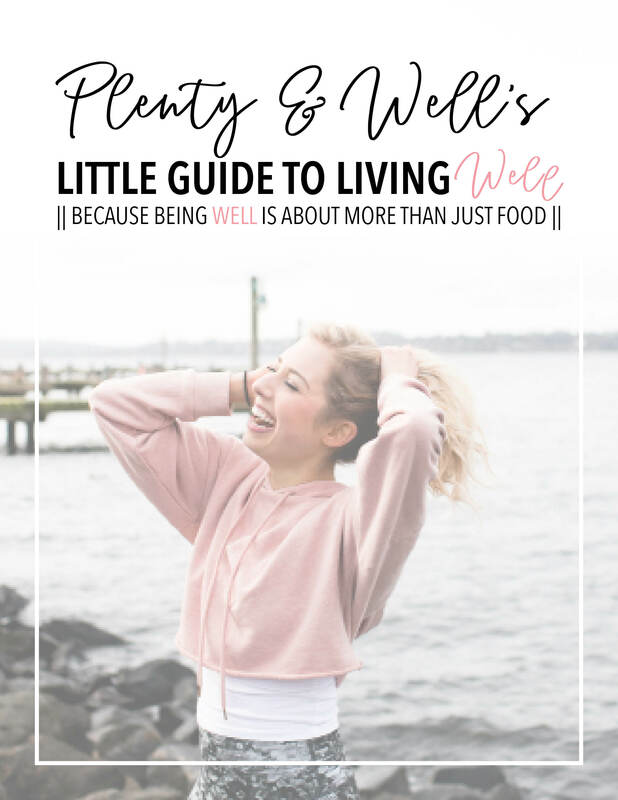 Welcome to Plenty & Well – a space all about empowering women to find their potential and live truly well. Whether you need help finding that potential in your wellness journey or need helping finding that potential in your business’s journey, I’m ready to be your biggest cheerleader. As a holistic health coach and entrepreneur, I have the tools, education and passion for helping women in both realms. I spent too many sleepless nights in the past searching for answers on Google to help solve my health issues, find the key to self love, define my brand and grow my business. But guess what sister? You don’t need to do that too. I’m here to guide you and show you that healing starts from within and branding begins with your story. Are you ready to create your best life yet sister? Good. Because guess what? You’re worthy of living happy, healthy and well. I promise. I’m hear to help you grow in your personal wellness or help you grow your wellness brand. Let’s work together! I’m not vegan, BUT I can never turn down a good cauliflower steak (and would choose a cauliflower steak over a real steak any day). Seriously… I think I have a cauliflower addiction. Seattle has been uncharacteristically sunny lately (helloooo Spring!!) and it’s making me crave all the fresh salads. This golden beet cinnamon salad is doing quite the job of satisfying that salad craving. I’ve been wanting to write a health-update post for you all for so long now, but I just couldn’t quite get in the right headspace to do so. Because, to be honest, up until now I was struggling. A lot. Physically, mentally, emotionally. Working full-time for myself from home has been the most gratifying, amazing, humbling experiences of my entire life. I’m not going to sit here and say it’s been easy by any means, but it’s taught me an insane amount about myself. Call me crazy but Brussels sprouts are probably my favorite vegetable of all time, especially when roasted to crispy perfection. It’s funny because they get such a bad rap, but I don’t think most individual’s argument against them has any backing or validity. I got so many requests to create a Los Angeles food guide after my latest trip with my friend Kelsey that I knew I couldn’t put it off any longer. Traveling with gut heath issues can be tough, but it’s also helped me see traveling through a new lens. Get My Specific Carbohydrate Diet Recipe Ebook! Food is so powerful and healing, but it should also be FUN. Are you ready to live TRULY well? I thought so. Let’s do this sister! Join My Week of Wellness Program!